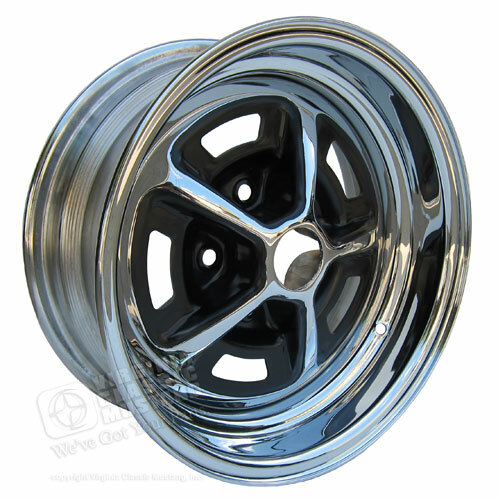 New 14x6 Chrome Magnum 500 Wheel. This is the correct wheel for the 1966 GT-350 Shelby Mustang. This wheel came on all of the GT350 Hertz Shelbys and as an optional wheel on a few other 66 Shelbys also. It has the unique and correct rim configuration like the original wheel. 3 3/8 inch backspacing like the original wheel.